Discover why CBD hemp oil (cannabidiol) is serious medicine and benefits everyone of all ages. Empower your body by adding CBD to your daily regimen, and if you suffer from chronic medical conditions, please take a couple minutes to read this. SEED TO SALE – Fallacy or Future? Discover more about the relationship between PTSD and CBD (Cannabidiol): What are the symptoms of PTSD? 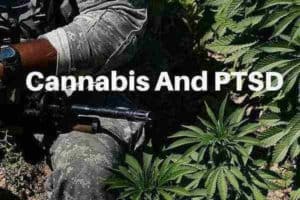 Common sense approach to CBD dosage for PTSD, the various PTSD treatment options, and a thorough PTSD medications list to avoid. Operation Choke Point Over? No, Not Really! Hey, why do financially strapped Medical Patients have to take a back seat? I thought Growers agreed to accept a more responsible role in providing meds for poor patients… And just when I was getting real cynical about all this, I learned of a rare individual with a burning desire and driving commitment to provide free medical cannabis to patients who arguably need it most. Someone who does care. His name is Martin Modiano, or “Marty” as he prefers to be called. Marijuana Doctors – They’ve Come A Long Way Baby! Extremely positive and powerful news and support for the legalization of marijuana is revealed by the formation of the Doctors For Cannabis Regulation (DFCR)… Surprised by the New England Journal of Medicine’s 2016 survey that included 1,446 medical doctors practicing in 56 States, U.S. Provinces and 72 countries, we now find that an overwhelming majority (76%) of them approve the use of marijuana. Where To Buy CBD Oil You Ask? A quick look at where to buy CBD oil and legal CBD products. Also discussed is where to buy cannabis oil and the differences in various types of cannabis oils. What is Hemp Essential Oil? Organic hemp essential oil is defined and contrasted with other essential cannabis oils like CBD essential oil. Also a look at some hemp essential oil benefits… Widely acknowledged among nutritionists, hemp seeds are an excellent source of plant protein, amino acids, and essential fatty acids that our bodies require for proper physical health and psychological well-being. A presentation of cannabis oil health benefits and specific illnesses treated with cannabis essential oil and other cannabis-related products are discussed… Cannabis oil (aka hemp oil) is typically extracted from either Cannabis sativa or the Cannabis indica species by either low-pressure steam distillation methods or the newer and more preferable CO2 extraction process which separates the cannabinoid resins from the cannabis flower leaving behind a pure oil with no chemical residues. Article brief regarding tomorrow’s 2016 elections and ballot proposals for marijuana legalization legislation. Weighing momentum and potential for Americans seeking the return of personal freedoms… Hold on to your hats sports fans. In one form or another, 7 out of 9 states’ ballot initiatives legalized cannabis on election day. Marijuana legislation 2016 features 9 new states seeking either recreational use… Marijuana legislation 2016 features 9 new states seeking either recreational use or medical use voter majorities are Arizona, Arkansas, California, Florida, Maine, Massachusetts, Montana, Nevada, and North Dakota. Shocking News!! December 14, 2016 – DEA Creates a New Schedule 1 Drug Code for Cannabis Extracts and Declares War on State Law Abiding Medical Patients in the America… So there you have it folks, regardless of ‘legality’ this maneuver is designed to further embellish Federal control over cannabis. Learn the types of diseases and illnesses on the CBD Oil Benefits List and discover what CBD is used for – changing lives… So, what is CBD oil used for? CBD has a surprisingly large number of therapeutic properties that have been shown in numerous, double-blind medical studies to successfully treat many medical conditions. CBD’s cancer-fighting potential is getting ever increasing attention and its therapeutic potential is being fully embraced by the Cancer research community worldwide. It is also used as a daily dietary supplement that can be consumed by adults and children alike to help prevent disease. Discover the many hemp protein benefits and learn that hemp protein powder is highest in essential amino acids, essential fatty acids, and high-quality fiber… Widely acknowledged among nutritionists, hemp seeds are an excellent source of plant protein, amino acids, and essential fatty acids that our bodies require for proper physical health and psychological well-being… Approximately 60% of the protein within hemp protein powder is edestin which is a particularly rare globulin legumin protein that is very similar in structure to the globulin in human blood plasma. It also contains more amounts of higher quality, essential fatty acids than most other plant-sourced protein powders. Vaping CBD oil is discussed while listing some of the benefits of CBD vape oil delivered by vape oil pens and CBD vape oil pen starter kits… Incorporating CBD into your daily health regimen is becoming a more and more important consideration as new medical data comes from the increasing sample size of more and more beneficiaries. Learn how cannabis affects metabolic processes as well as the complications from diabetes such as neuropathic pain and modulating immune system response… Neuropathy is defined as a disease or dysfunction of the peripheral nerves. Learn The Essentials of Rick Simpson Oil. See a brief summary of how to make Rick Simpson Oil, the necessary tools and protocol, recommended RSO dosage, and a partial list of just some of the myriad benefits of Rick Simpson Oil.